When it comes time to upgrade your shopping mall signs, there are a few key things to consider. First, find out about any specifications in design and function required by the property management company – they often limit sizing, features, lighting, and more. It is very important to get these specs planning your sign. Next, focus on what the sign needs to communicate to your clients. Think about your company’s name and branding needs. Most often, shopping mall signs need to include some information about what the location offers (unless it is a well-known brand). For example, the Pandora sign is simply its logo: elegant serif text with the crown feature. 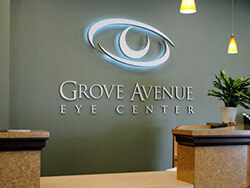 Back-lit channel letters add to the sophistication and appeal of this sign. Even if you didn’t already know what kind of company Pandora was, you’d probably guess they sell jewelry. The iProtech sign, on the other hand, is a lesser known brand. Here, the “professional phone repair” subtitle helps to communicate the shop’s offering. Yet, it is still brief and to the point. It is also important to consider location. Some of the largest retailers will need signage for the exterior of the building. When this is the case, consider block letters with the proper lighting, such as in the Giorgio Armani sign located here. This sign creates the name brand recognition visitors need, but it can also stand out from a distance, communicating a clear message all the way out onto the street. When creating shopping mall signs, be true to the company’s brand. Use the colors, letters, and features representative of the company. Then, complete this with the right lighting. By working with a company specializing in shopping mall signs, you can ensure they meet all necessary standards and requirements while communicating a direct and inviting message to the customers who are looking for your store. Are you looking to find the right sign company for your shopping mall signs? Give us a call at (805) 641-1387 or reach out to us online.